These can be provided to Universities, Recruitment, Legal, Marketing, Police, Research institutions. Evoluz provides premier business transcription to various industries ranging from research, business, survey, media, insurance, airlines, automobiles etc. It is a service of converting audio files into transcripts many times verbatim in nature. Many a times if these companies are registered with stock markets (NASDAQ, NYSE etc..), they have to comply with the regulations and have to conduct meetings on their business every quarter. These meetings have subject matters containing updates to their shareholders and investors about the performance year to year. The entire meeting is usually captured by the meeting coordinator who might use a recording instrument to record in Standard or micro cassettes, audio digital files (wav, wma, vox, dss, mp3) Internet, VHS or DAT. These files are then transferred to us for transcribing. We analyze the audio and pass it on to our technical department for any enhancement that it might need. We then agree to a template format with you and the file is then allocated to the transcription department for further processing. Marketing and research interview transcription. 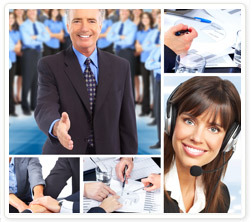 We are proud to be regarded as the industry leader in business and interview transcription services. Evoluz delivers reliable and accurate transcription services in audio as well as video recordings to meet your corporate business transcription needs. Our transcriptionists have in-depth knowledge and experience in processing transcription of audios related to various arrays of subject areas. The multi-level quality system ensures accuracy of your transcripts with high-level editing and proofreading team who filter out and fill the queries that might have existed in the initial stage of transcription. Partner with Evoluz for your business and interview transcription needs and open up brand new avenues of risk-free communication with your target markets efficiently and accurately.